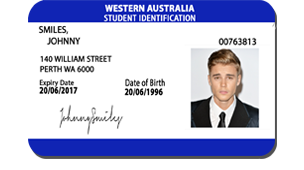 At just $69, this is our Western Australian novelty ‘Fake ID’ – Perth customers say that this is their favourite card. BUT you don’t have to live in WA to get one. We can ship this card to anywhere in the world. If you live in Australia this card can be yours in as little as 4 days if you order today! This card is printed on PVC plastic – the same type used in credit cards/debit cards. The high-quality printing method we use means this card will still look just as good in 1 year – it won’t smudge or fade or break unlike other websites who claim to offer WA cards. Note: There appears to be a large amount of websites claiming to offer WA drivers licenses from China. This are all scams without fail. If it seems to be too good to be true then in this case it certainly is. Two 21-year-old males have been arrested by South-West Police for the manufacture and use of fake IDs and documents to gain wristbands allowing access to restricted areas designated for school leavers. The pair travelled from Perth with the intent of participating in “schoolies”, annual week long parties for high-school leavers. People attempting to participate in such events despite no longer being of high-school age are often referred to as “toolies”. Access to the events is often restricted by wristbands. According to Inspector Geoff Stewart the suspects used the forged documents and identification to illegally obtain wristbands and entry. Police apprehended one suspect at the scene, while the other suspect was arrested at his lodgings. The suspects have been returned to Perth while awaiting trial for benefit by fraud, an offence which carries a maximum penalty of 2 years in prison for when prosecuted in local courts and 10 years at the federal level. In an unrelated incident, four teenagers have been charged and another four cautioned on drugs related offences connected to the possession of cannabis and methamphetamines. This card is not a Western Australian drivers license. 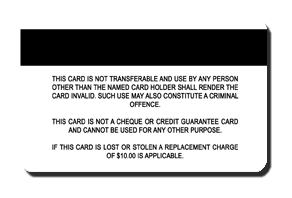 This card is not produced by WA Department of Transport nor any other state or national government agency. Really happy with how it looks. Especially the hologram. Would recommend to anyone in WA.